The 10th ICC International Commercial Mediation Competition is hotting up as university teams from Australia, Brazil, Poland, Ukraine and the US make it through to the quarterfinals on the contest’s penultimate day. The quarterfinalist announcement was met with cheers and applause at the International Chamber of Commerce (ICC) global headquarters in Paris this morning. 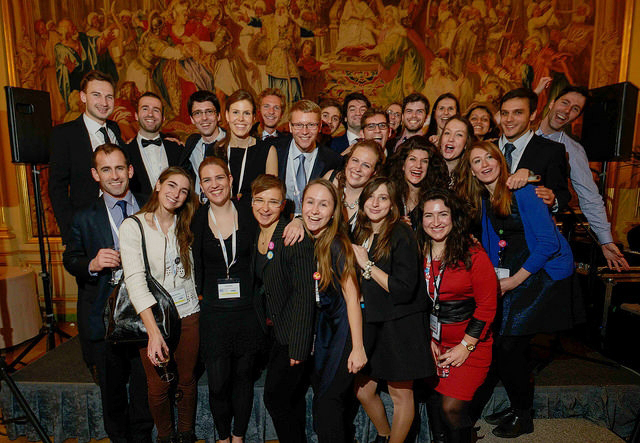 Over five thrilling days, 67 business and law schools from around the world have been battling for top places in the ICC Mediation Competition. 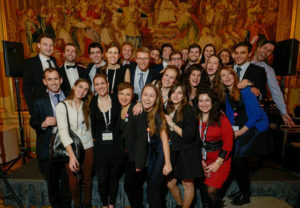 Students have stretched their commercial dispute resolution skills – and their knowledge of ICC’s 2014 Rules of Mediation – in over 150 mock sessions around Paris, evaluated by some of the world’s most renowned mediation practitioners. The quarterfinalists include three universities competing in the ICC Mediation Competition for the first time: Florida International University College of Law; New York Law School; and the National Taras Shevchenko University of Kyiv (Ukraine). They are joined by: University of New South Wales (Australia); University of Sao Paulo (Brazil); University of Warsaw (Poland); UC Hastings College of Law (USA); and the University of Houston Law Centre (USA). We hope the Competition will be an opportunity for participants to develop the skills required to stimulate constructive and effective communication. One of the world’s leading mediation capacity-building events, the ICC Mediation Competition is based on the complex, international business problems that professional mediators really tackle. After the quarterfinals take place on Tuesday afternoon, the semifinals on Wednesday morning involve a dispute over the obscuring of a shop front by surprisingly high kiosks. Two teams will then go through to the competition’s KPMG Final on Wednesday afternoon, where they will attempt to resolve a dispute over a newly acquired vineyard’s production of lower-than-predicted yields. With 67 teams competing from universities, helped by some 130 professionals volunteering as mediators and judges, this year’s event has attracted more than 500 participants from more than 40 countries, making it the biggest and most diverse in the ICC Mediation Competition’s ten-year history.